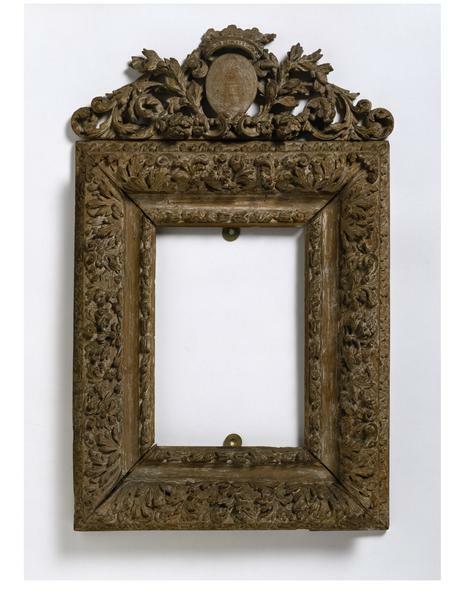 This small frame was probably intended to house a portrait miniature. The carved wood shows traces of gesso, a mixture of plaster of Paris and glue used as a base for gilding. Although the flowers and foliage of the borders are crisply carved, further details, for example to the shield and coronet that surmount the frame, would have been created in the gesso layer and with careful tooling upon the gilding. 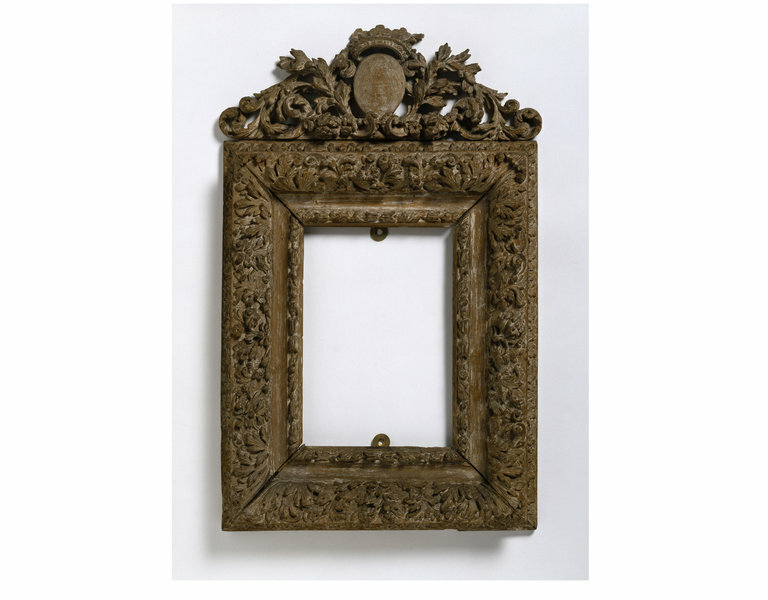 Examining the reverse of the frame reveals that the cresting is a completely different colour from the body of the frame and may be carved from a different wood. This suggests that, although the frame in its present state appears a harmonious composition, the cresting may be a later addition. 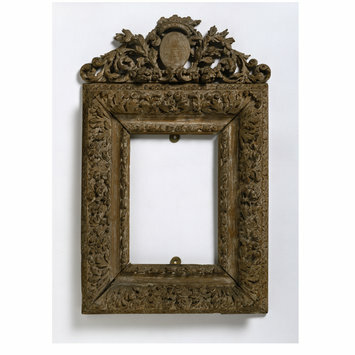 Rectangular frame of carved wood with pediment surmounted by blank shield and coronet. The frame is decorated with bands of foliage and husks.